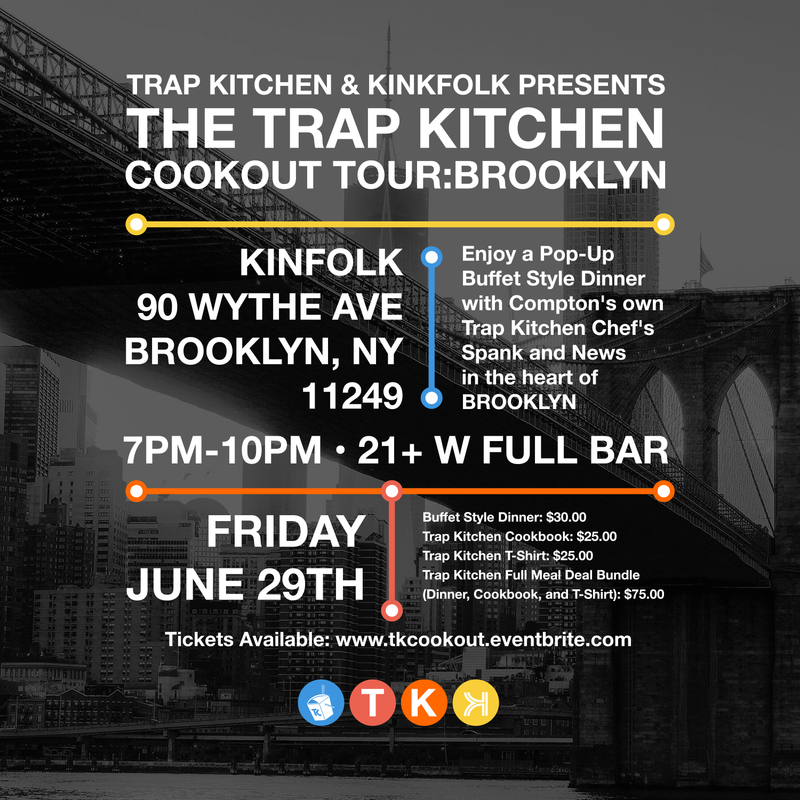 Hip Hop’s hottest chefs, Trap Kitchen hook up with the legend E-40 for a unique Meet & Eat Tour experience as part of the upcoming Gift Of Gab Tour. At each stop, 40 will be meeting his fans directly as they devour the latest and greatest from chefs Malachi “Chef Spank” and Roberto “Sous Chef News.” With recent ventures in the liquor industry soaring E-40 has become quite the chef in his own right if you follow his updates on Instagram. 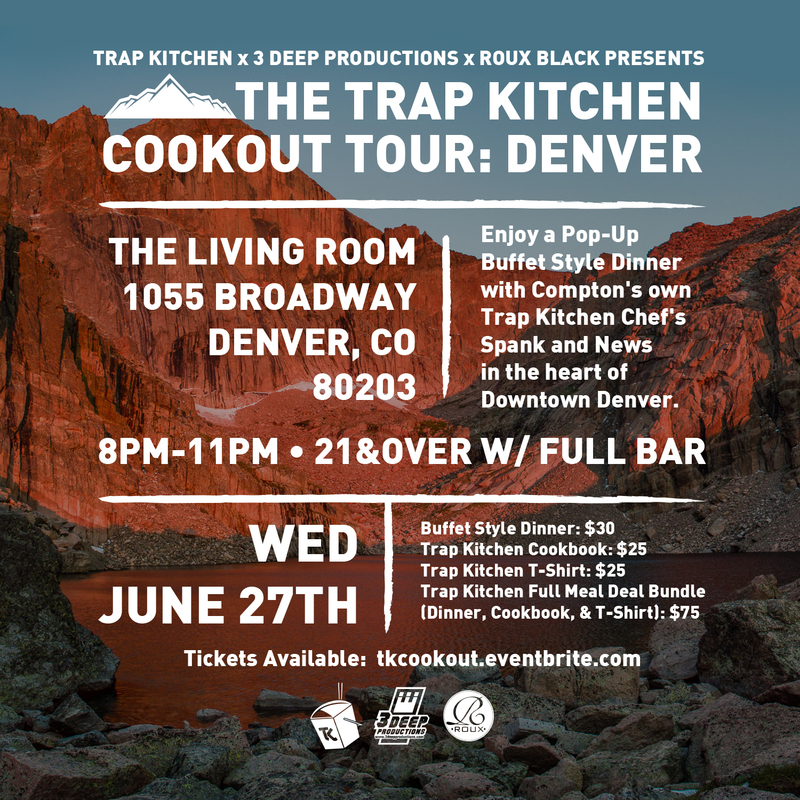 Teaming up with the Trap Kitchen movement brings a never-before-seen experience where fans can get to know their favorite artist and also indulge in delicious plates provided by Spank and News. With cosigns from the entire industry including The Martha & Snoop Show, Vice, The Chew, Comedy Central’s Hood Adjacent, The Breakfast Club, and many more the Trap Kitchen team has been taking their brand to new levels in 2018. 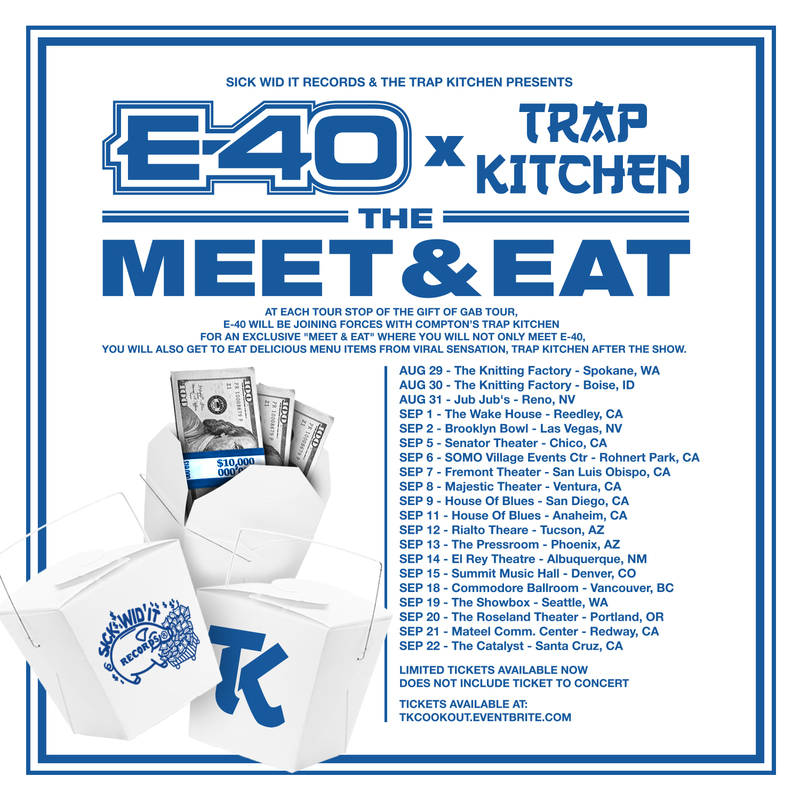 Check the dates below and be sure to bring an appetite when E-40 and the Trap Kitchen fellas pull up to your city. If you’re in Denver, Atlanta, or Brooklyn be sure to check the flyers below for full information on your city! Tickets for all events are available at the link below. The Trap Kitchen was born 2013 in Compton, CA when Malachi “Chef Spank”, a Crip, decided to come together with his best-friend Roberto “Sous Chef News”, a Blood, to change the path their lives were taking in the streets with food. They’ve created a business that is growing rapidly with each passing day where you can get five-star restaurant meals without the five-star prices. Trap Kitchen has provided catering services throughout the city of Los Angeles, including, Long Beach, Inglewood, Compton, Carson, Hollywood, and other surrounding cities. 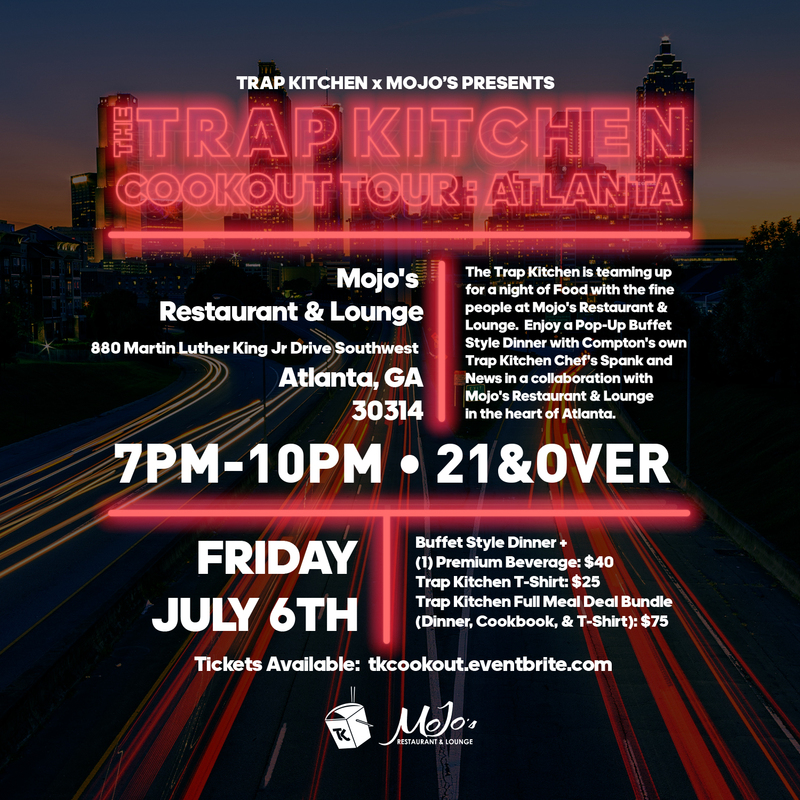 Trap Kitchen is also known to travel state-to-state and caters in Las Vegas, Atlanta and New York City. Trap Kitchen is now open and serving food at a stationary location in Portland, Oregon. 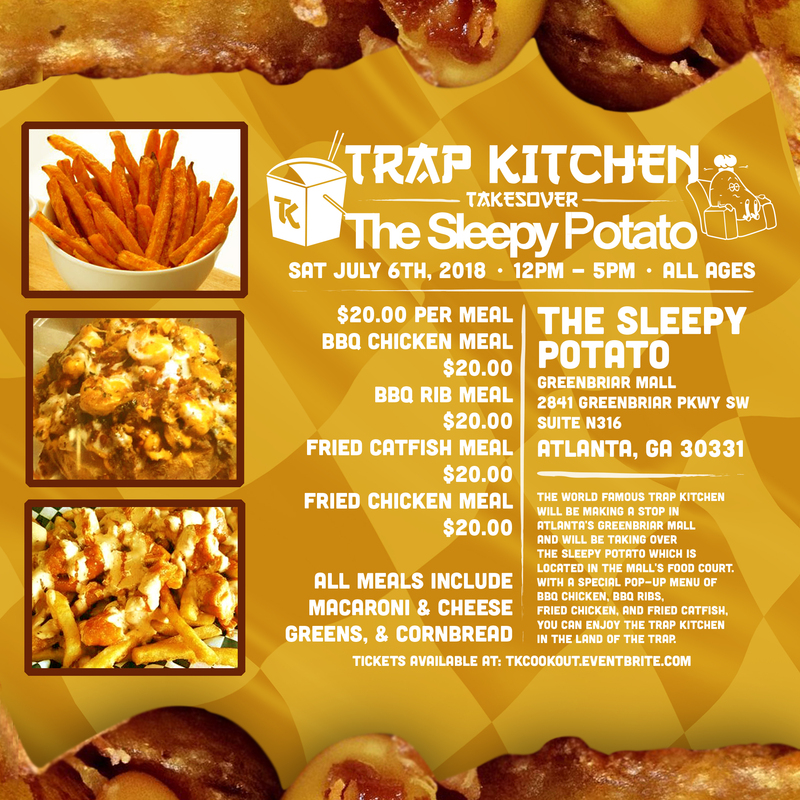 The Trap Kitchen is known as the leading vendor at the Annual Black Owned Entrepreneur Business Expo in San Pedro, Ca, and recently fed over 5,000 people as one of the top-selling vendors at the 2017 Summertime in The LBC Music Festival. Chef Spank and News have made television and radio appearances on shows like The Martha & Snoop Show, Vice, The Chew, Comedy Central’s Hood Adjacent, The Breakfast Club, and Fox 11. Their story has been featured in The Huffington Post, Forbes, LA Weekly, Vibe, and Billboard. The Trap Kitchen also offers a weekly menu published daily that is open to the public. Cooking up more than food these chefs aspire to touch every stomach and feed the world.